Los Angeles-based Fisker has revealed the first details of its forthcoming electric SUV, aimed at making luxury EVs affordable. The SUV has an ambitious target price of $40,000 (£30,800) in the U.S., which pitches it squarely against new products from Tesla, including the new Model Y. Although initial information is limited, Fisker does promise the as-yet-unnamed SUV will offer a ‘a futuristic, elegant muscular EV with clean surfaces and a dramatic shape’, along with an interior that features ‘some of the latest emerging in-vehicle technologies’. Along with the bold price, the other big claim is a 300-mile range when fully charged, thanks to an extended 80kWh battery pack. Four-wheel drive is on the cards, with individual electric motors powering each separate axle. Fisker plans to have the SUV on sale by late 2021, with a pre-production version hitting the streets later this year. What other cars does Fisker have planned? This new affordable luxury SUV is intended to be the first in a three-model mass-market range from Fisker. The company had previously shown the high-end EMotion four-door electric car, featuring a carbon fibre body and dramatic 24-inch wheels. However, Fisker has decided to push back the launch of this flagship model until the cheaper SUV hits the market. 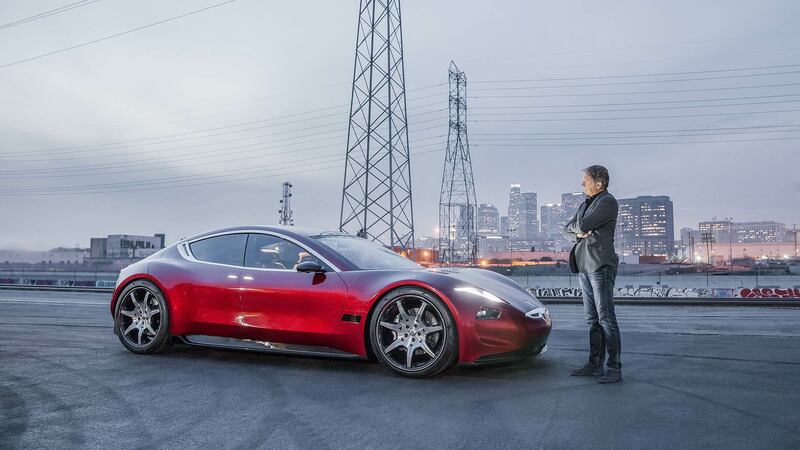 Fisker also intends to sell cars directly to consumers, in a manner similar to Tesla. A concierge system to handle servicing and maintenance will also be set up. 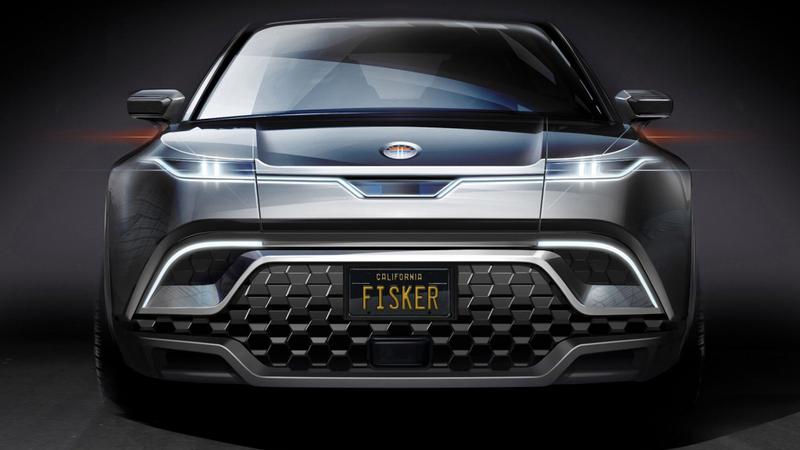 Where have I heard the name Fisker before? 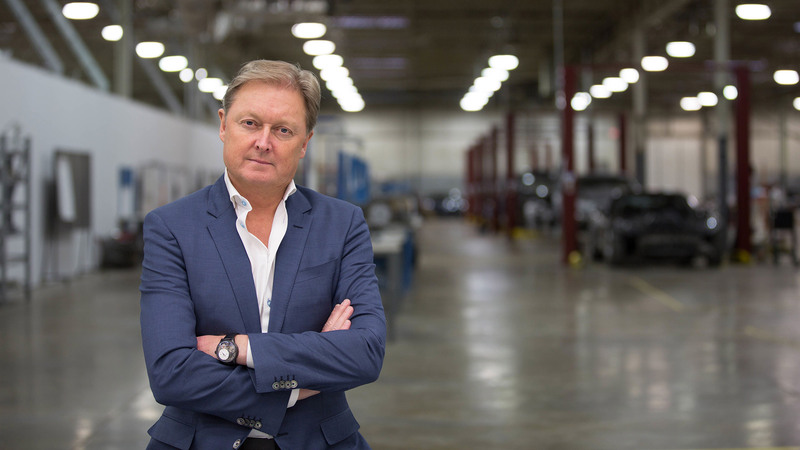 Company founder and CEO Henrik Fisker is no stranger to the automotive industry. Born in Allerod, Denmark, he previously worked as a designer for major car manufacturers. At BMW, he helped create the retro-inspired Z8 roadster, while at Aston Martin he was responsible for the beautiful DB9. The Dane founded Fisker Automotive in 2007, launching the luxury plug-in hybrid four-door Karma in 2011. Some 2,000 examples of the Karma were delivered to customers, but Fisker himself left in 2013 over disagreements about the direction of the company. Fisker Automotive would later be declared bankrupt due to financial difficulties, stemming from problems with the company responsible for supplying batteries. Since leaving that company, Henrik Fisker has been involved in designing everything from yachts to the VLF Force 1 V10-powered supercar. He founded the new Fisker Inc. in October 2016.